Sounds obvious but how many people act this way? You cannot demand honor. 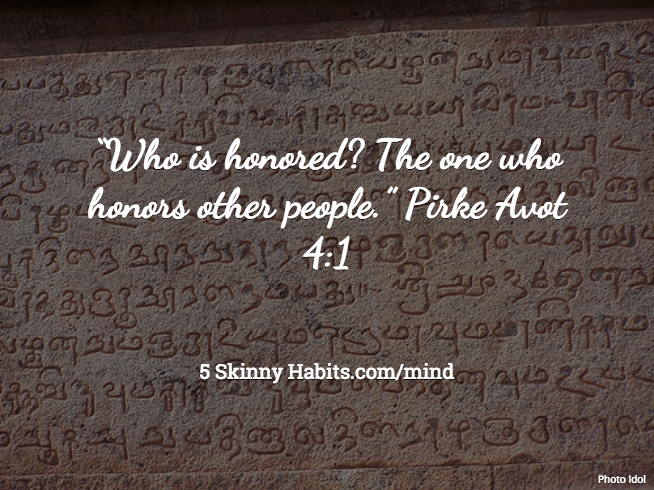 You are honored by others when you respect and honor them. Do you want honor and respect at work, home or from your friends? Don’t enforce it. Earn it! Treat your peers, children and friends with respect. and they will treat you with respect.